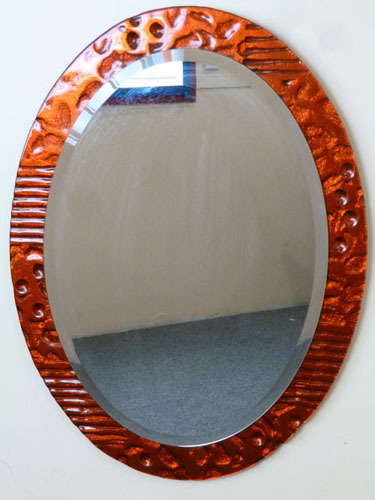 - SIZE 90 cm high and 67 cm wide mirror weighing about 14.kilo. - ORIENTATION as its round well there's no issues. - COLOUR Orange / red slumped glass .